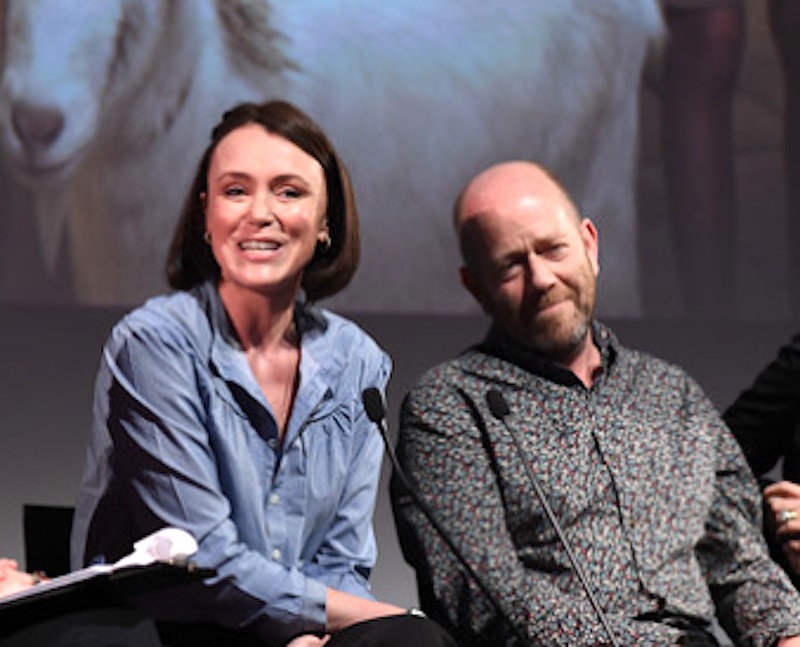 Keeley Hawes who plays Louisa Durrell and The Durrells scriptwriter Simon Nye. ITV have announced that they have commissioned a fourth series of The Durrells to be broadcast in Britain in spring 2019, while PBS says it will be shown in America that autumn (where it is called The Durrells in Corfu). Keeley Hawes and Simon Nye. 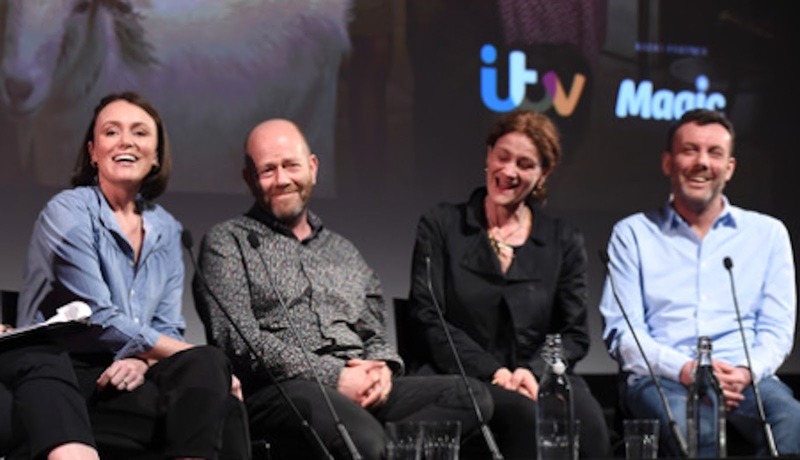 And scriptwriter Simon Nye discusses the longer term future, suggesting the story of the Durrells might well run to five series before the family leaves Corfu, after which the action would shift to Bournemouth and maybe look in on Larry in Egypt. 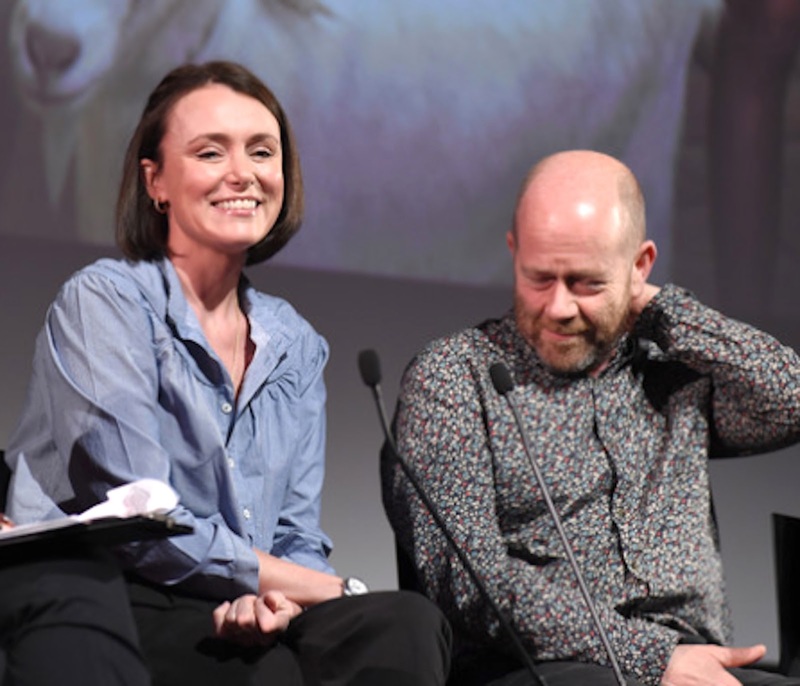 Keeley Hawes, scriptwriter Simon Nye, and executive producers Sally Woodward Gentle and Lee Morris at the British Film Institute and Radio Times TV Festival, London, 8 April 2017. 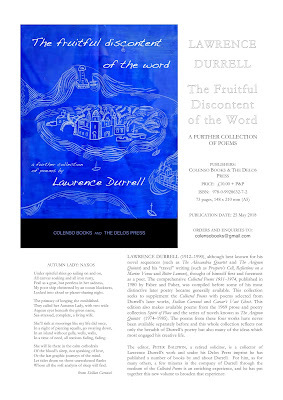 The Fruitful Discontent of the Word, to be published on 25 May, for the first time brings together Lawrence Durrell's later poetry, the poems he embedded in his novel cycle The Avignon Quintet set in Provence and Egypt, his writings on place such as Sicilian Carousel and Caesar's Vast Ghost, and also poems found in Spirit of Place, a collection of his letters, articles and short pieces. Click on the image below to learn more and how to order. 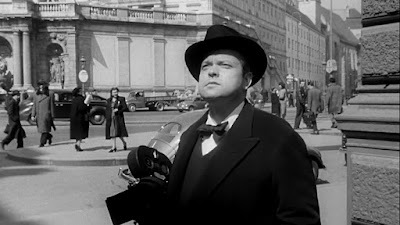 My aunt Ann Rogers was Orson Welles' private secretary and all-round fixer from 1955 until 1979. An extremely discreet woman, she worked quietly and invisibly behind the scenes (though sometimes telling me good stories about OW's adventures), proud to devote herself to his genius. So I was a bit surprised when someone drew my attention to her name in print in this newspaper article which highlights a new book about Welles by Dorian Bond. My aunt, whose methods Bond describes as like 'working for the SOE, sending agents off on deadly missions', has been briefly exposed in the pages of the Daily Mail. 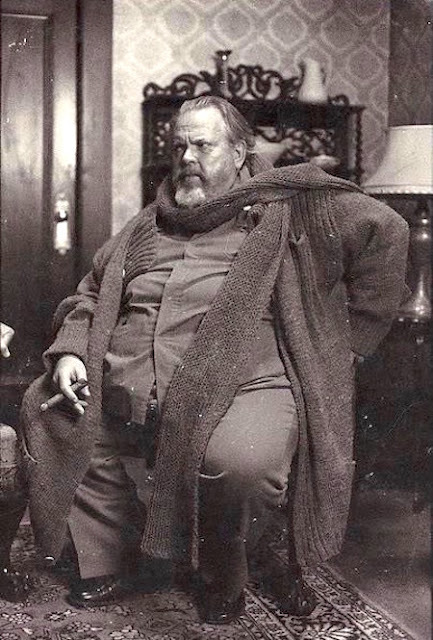 Which has reminded me of one of her most covert operations, forwarding underpants to Orson Welles. 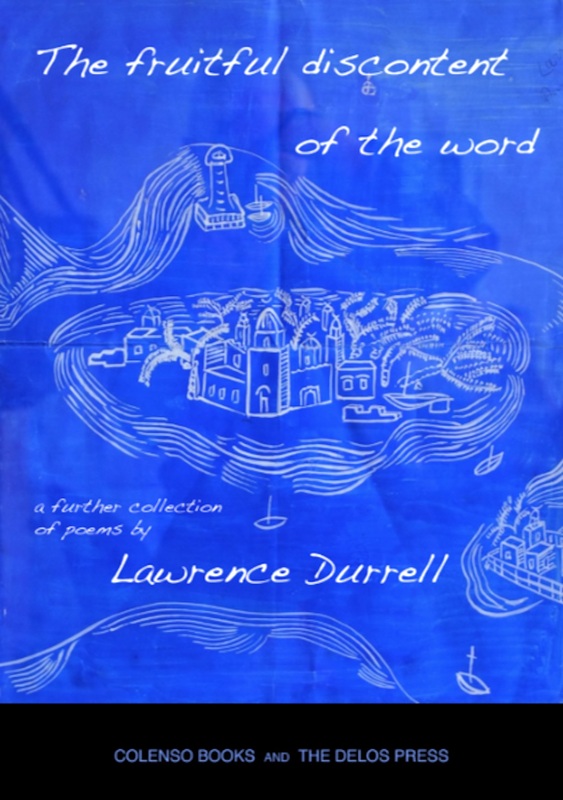 She wrapped them in a large parcel and gave it to my father who was passing through London on his way to California where Welles was living at the time. But my father (my aunt's younger brother) was an unreliable agent. He could not resist peeping inside. 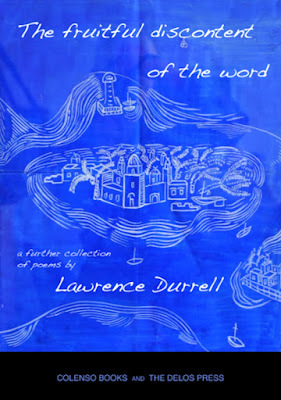 And kept a pair of OW's underpants as a souvenir. Afterwards my brother tried them on with the result you see below. 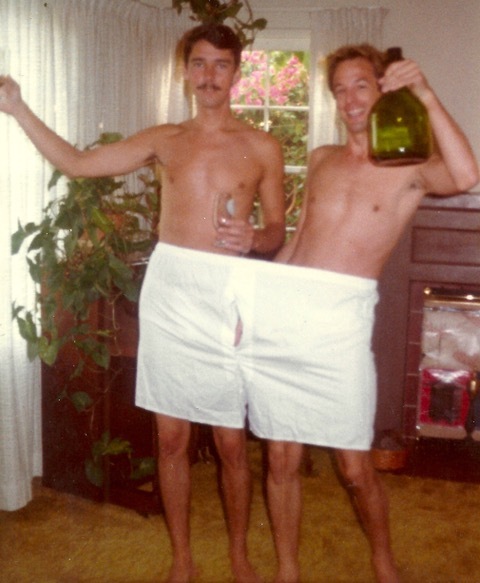 My brother Anton, left, and his friend Tom, trying on Orson Welles' underpants in 1983. 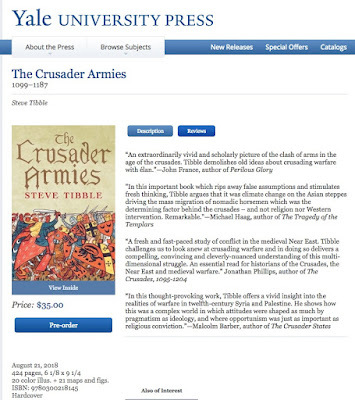 Before anyone reads or writes another book about the Crusades they should read Steve Tibble's The Crusader Armies. I was asked by Yale University Press to read the book in proof and offer comments in advance of publication this coming July. I found it exciting and refreshing. For one thing it overturns the tired old prejudices that the West was the aggressor, that events were driven by religious fanatics, and draws a broader, more profound and complex picture of events - but always readable. Tibble presents the latest scholarly and archaeological research, much of which has not yet entered the public consciousness (nor a good deal of academic thinking) , to make his case that climate change on the Asian steppes drove the mass migration of nomadic horsemen who created havoc among the settled peoples of the Middle East, Christian and Muslim alike. This and not religion nor Western intervention was the determining factor behind the crusades. It affected strategy, tactics and the composition of armies - with often Muslims and Christians fighting as allies or even within one another's ranks. It also affected the outcome. Ultimate victory went to those who could draw on the greatest reserves of nomads, which favoured the Muslims in the East who had Turkic nomads moving into their hinterlands. But that was not the case in the West where Portugal, Spain and France were saved for Europe.